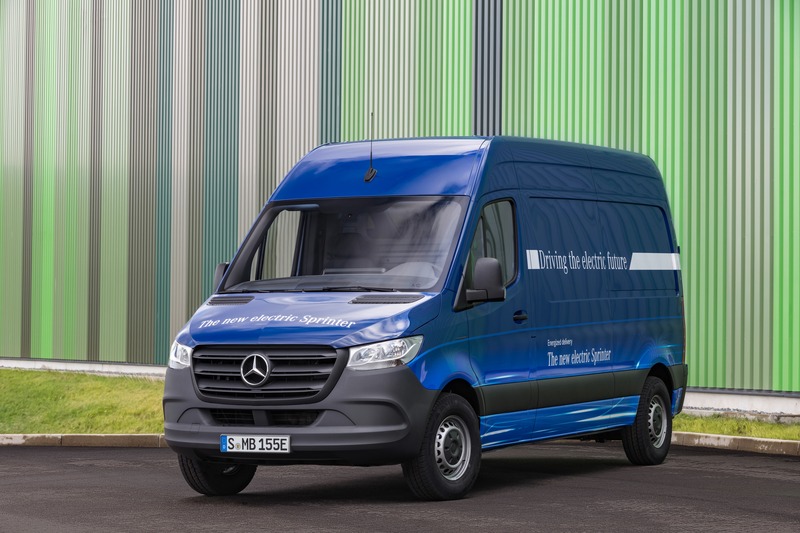 Daimler is opening up more and more options for customer to go electric with the introduction of its new Mercedes-Benz eSprinter. The platform is especially exciting due to its appeal to fleets as a delivery vehicle and consumers as a recreational vehicle. The new eSprinter won’t break any range records with its 150 kilometer range but it should be more than sufficient for a day of deliveries around town. The new eSprinter will come with a 3.5 tonne rating and a carrying capacity of 10.5 cubic meters (371 square feet). 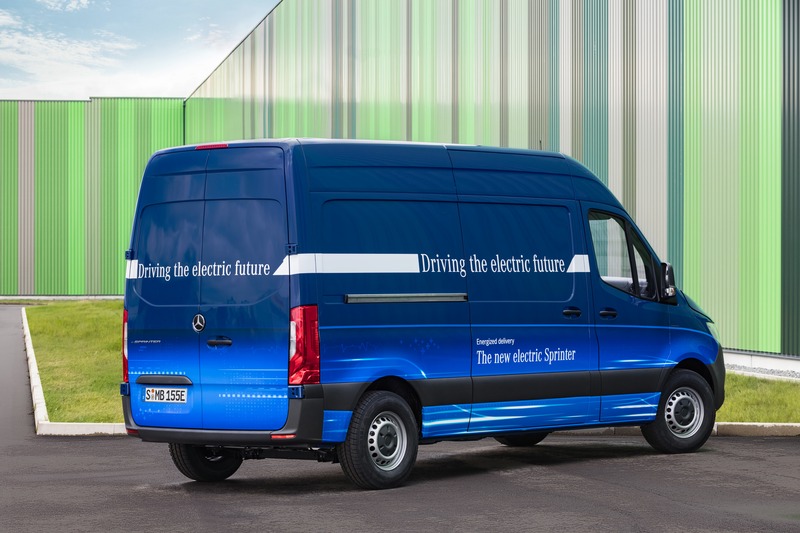 The eSprinter is the second electrified offering in the Mercedes-Benz van family, following the offering of the smaller eVito which went on sale late last year. The eSprinter will be offered in two configurations: a more traditional light delivery build with a maximum payload of around 900 kilograms (1984 lbs) that is powered by a 55 kWh battery. In this configuration, the eSprinter will be able to achieve 150 kilometers on a single charge, even in colder climates and with a full load. The second configuration is for customers looking to haul heavier loads, sporting a maximum payload capacity of 1,040 kilograms (2,293 pounds) for customers that need maximum hauling capacity and that are not as concerned about range. The heavy-duty model comes with a smaller 41 kWh battery that yields 115 kilometers (71 miles) of range. Both of the new eSprinter configurations can be charged up to 80% capacity at a DC fast charging station in just 45 minutes, giving fleet operators and small businesses the option to increase utilization of the vehicles with a fast charge, if necessary. With a 7.2 kW wall charger, the 55 kWh battery will recharge in 8 hours and the 41 kWh build will recharge completely in 6 hours. The eSprinter is the next step in a much longer journey for Mercedes-Benz as it moves to electrify its entire van range to better meet the needs of customers looking for zero-emission alternatives for city centers where emissions have the highest negative impact and electric vehicles operate in their strength. Short distances and low speeds are the most efficient zones for electric vehicles like the eSprinter, so it’s not surprising to see Mercedes is moving into that space aggressively. “Electrification of the commercial fleet follows our conviction that the future belongs to electric drive systems, especially in inner-city traffic. We have already shown with the eVito that we are serious about the implementation. Now we are going a step further with the eSprinter. Our electric drive systems are also competitive in larger vehicle segments – especially regarding the total cost of ownership which is important for our commercial costumers,” shared Volker Mornhinweg, Head of Mercedes-Benz Vans.